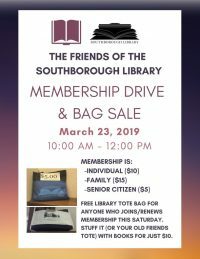 In coordination with opening up the downstairs, The Friends of the Southborough Library are holding a special sale. It will run during the celebration hours (10:00 am – noon). So it won’t interfere with attending Town Meeting. 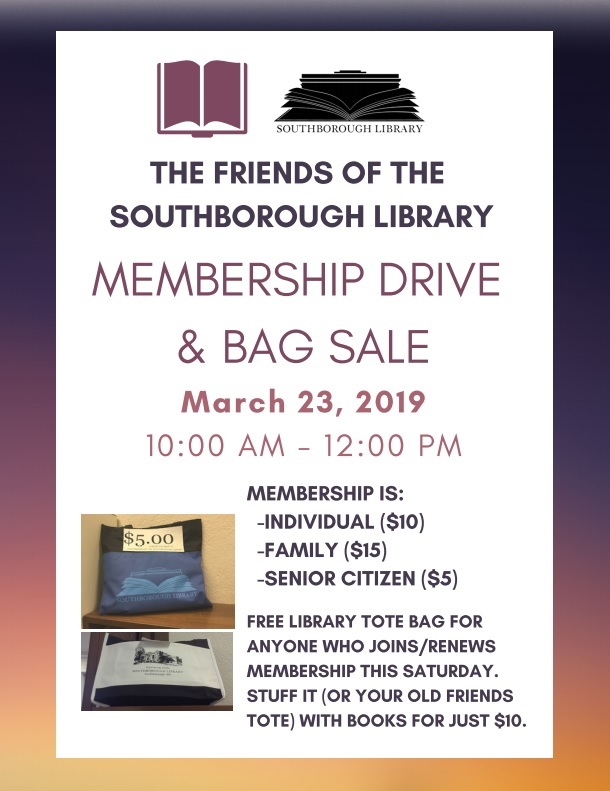 We’re offering a free Southborough Library tote bag to anyone who becomes a member. (Or renews their annual membership). Membership fees run from just $5-$15 (click on flyer right). Join us in supporting the Library. Friends’ funds help support Library programs, museum passes, and more. I was late for the open house, but the new Children’s Library is so nice! Thank you to the staff and volunteers who worked so hard to put this together.